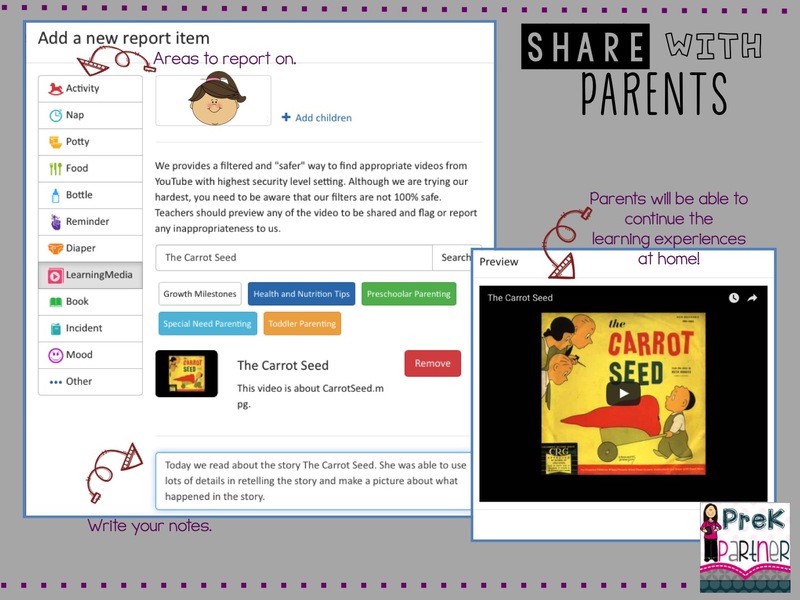 A year ago a teacher-friend introduced me to Learning Genie and I can honestly say it has revolutionized the way I store my students data, the way I score, the way I communicate with parents, and the amount of time and money I spend. 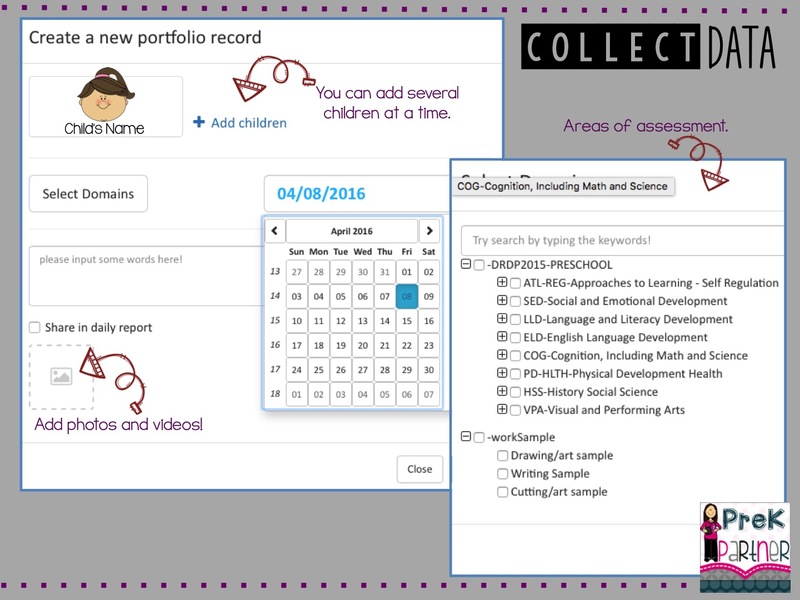 Learning Genie is an evidence-based electronic portfolio and assessment tool that makes teachers' lives easier. 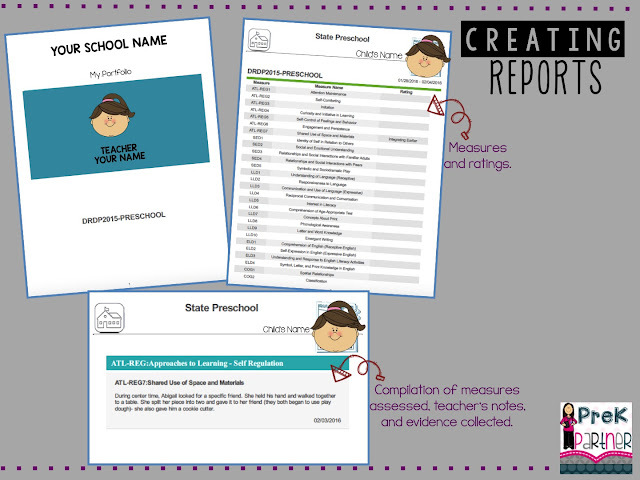 This tool meets the needs of teachers, parents and caregivers, program directors, as well as children - making the scoring process accurate and objective. I truly appreciate the best practices recommendations from teachers and professionals offered to parents. The best part is that I can work from my iPhone, iPad or my computer. Android users can also access the website an app. I personally prefer to use my iPad because is where I store all of my photos and work samples. 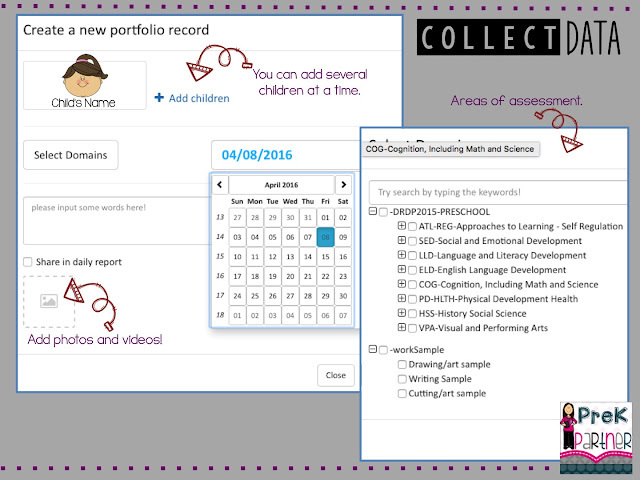 Once you create your teacher's account, you can input your students or retrieve them from a third-source, in my case DRDPTech. In California we use the Desired Results Developmental Profile that ranges from early infancy, preschool to school-age students. The website also allows you to select your state and the frameworks you use. Each child will have a folder to start collecting data according to specific areas of assessment. Photos and videos can be collected as well! Once data has been collected it's time to score it. A window pops up showing all of the possible developmental levels for that specific area of assessment. This is my personal favorite! Creating reports is done in just a couple of clicks! I will definitely will be using these reports during my parent teacher conferences. 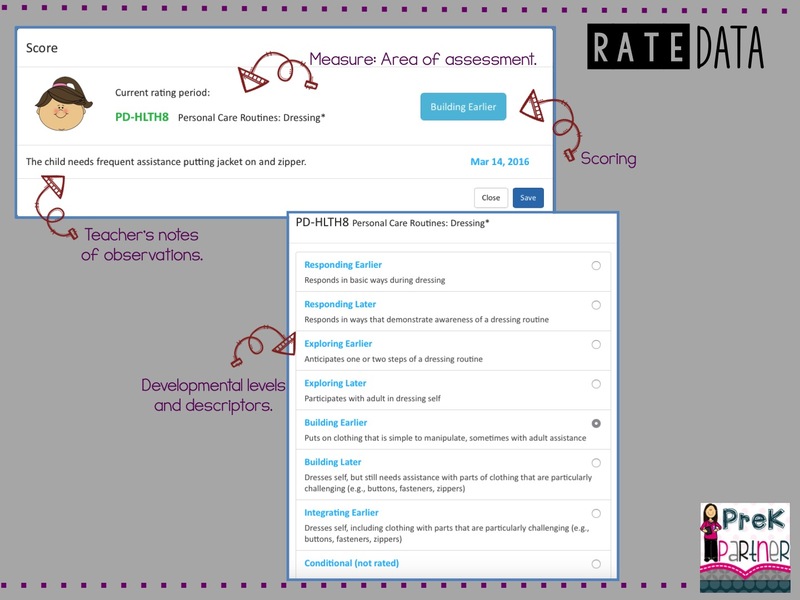 It shows all of the areas of assessments, the developmental levels, and the work sample and observation notes used for scoring. These also can go in the students' files when they move up to the next age-group class or kindergarten. Mrs. O. "I really like the feature that tells you the progress. The portfolio status tells you what measures are observed, rated, and the ones to be completed". Mrs. R. "I like to be able to see all of the evidence in one place during scoring. It saves me time and everything is organized in one place". Mrs. M. "I like the ability to quickly go to a specific student for a specific area to refer to. I can downloaded into my computer and print if I need to". Blog post sponsored by Learning Genie. Really liked your Electronic Preschool Portfolio. It’s good to know that you have such a great experience in teaching. I am also going to join a Phoenix preschool as full time teacher next month. Hoping to become like you one day. Hi Joshua! Good luck on your new job! 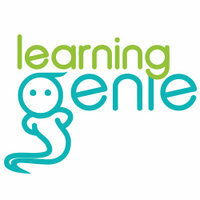 Thanks for sharing about Learning Genie. It would really be helpful for the the preschools to save their huge amount of data. It's not possible to keep so much data physically hence choosing the electronic media is a best idea. I'll suggest it to my friend, a teacher at Nursery School Sugar Hill, GA. Also will ask to visit this article to see the steps how it works. Thanks a lot. Hi! In my district we save data three times per year to assess 56 different areas for 24 students each time......do the math....a TON of paper!! This has been a lifesaver!